Early last fall, Chris and I had just moved to a new place. Much bigger than the cute little starter house that we had worked so hard to make our home, it felt empty and lonely and not yet like ours. We needed time to unpack, we had renovations to complete, and we needed furniture. Feeling really homesick and also unwell from the morning sickness that bothered me every minute of every day for the first few months of my pregnancy, I was driving through our unfamiliar new hometown. 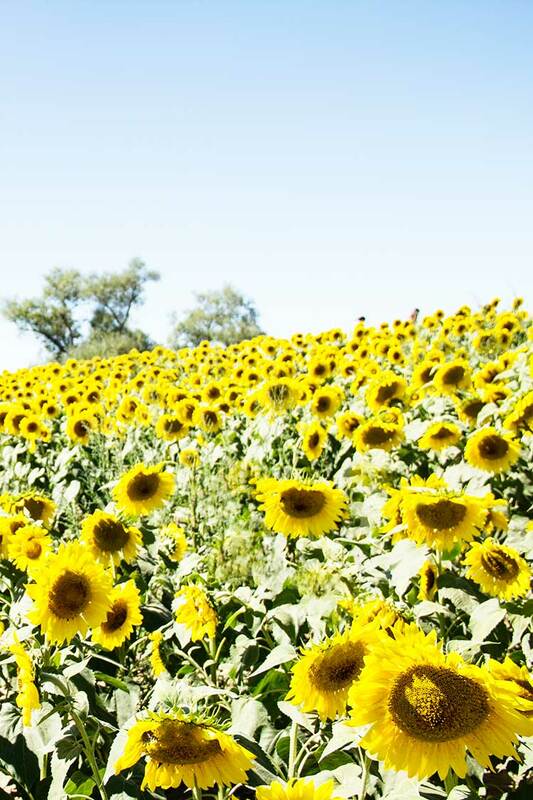 A field full of enormous sunflowers. 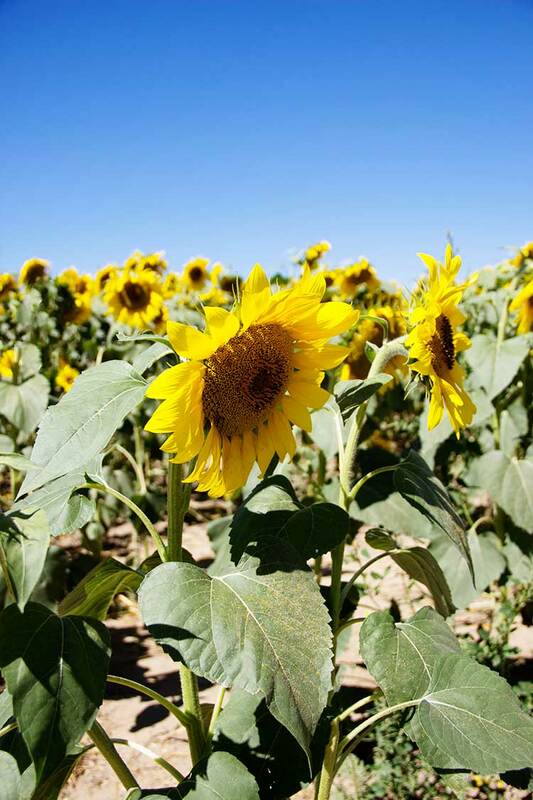 This was great luck – the sunflowers apparently only bloom for a couple of weeks in the year, usually in late summer. We stopped and walked around. We bought some cider and pumpkin bread from the farm stand. And I saw a little glimmer of hope. 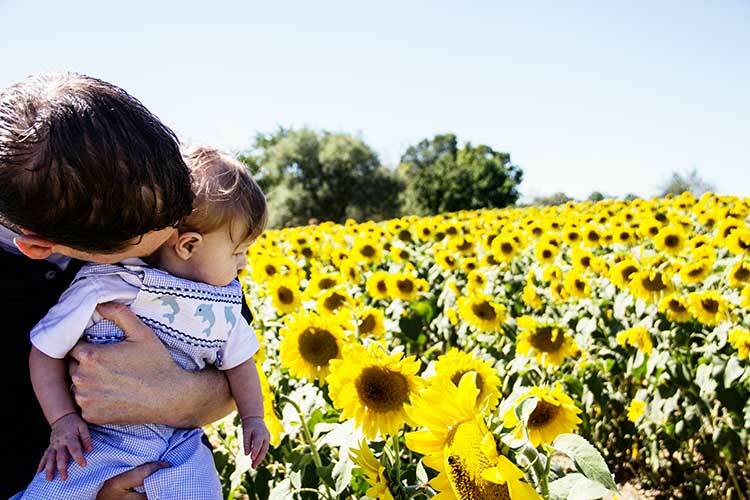 Next fall I’d have the baby, and I could get him dressed up to take photos at the sunflower field. It was something unique about our new place, something to look forward to. 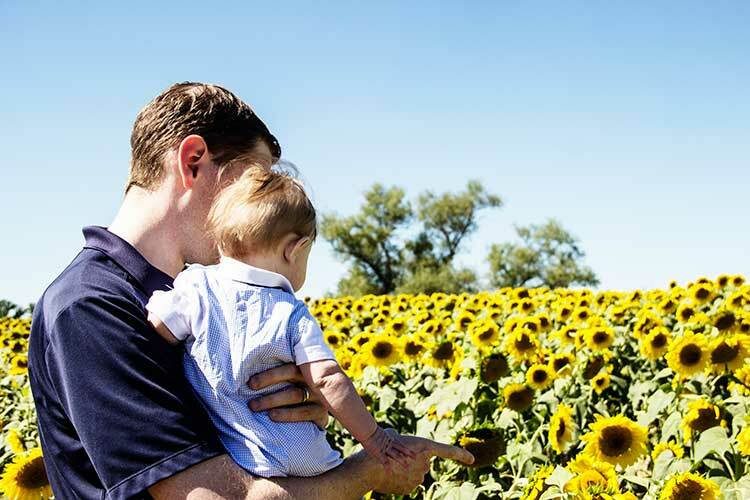 Fast forward to this fall, and we did make it to that sunflower field. There were some pluses and minuses. On the plus side, it was a beautiful, clear blue day, which seemed perfect. Except I had a tough time figuring out where baby Trevor could be placed and not bothered with sun in his eyes. 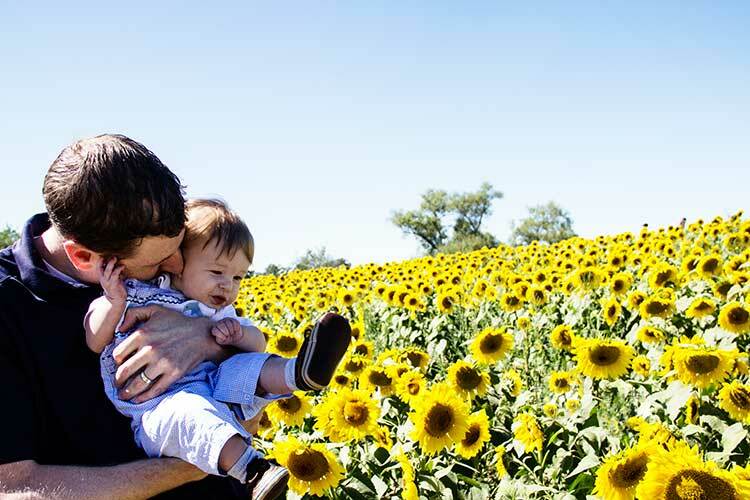 Another plus: Trevor was fascinated by the sunflowers. Unfortunately, this made it tough to get Trevy-Tru’s attention. No amount of silly farm animal sounds could get him to look in my direction. On the plus side, the flowers were beautiful. Unfortunately, the bees agreed. It felt like there were hundreds of them. Everywhere. I was happy for the bees that they’d found their paradise and all, but I felt I had to hurry the baby out of there. When you become a new mom, you learn to pick your battles and appreciate the tiny victories. 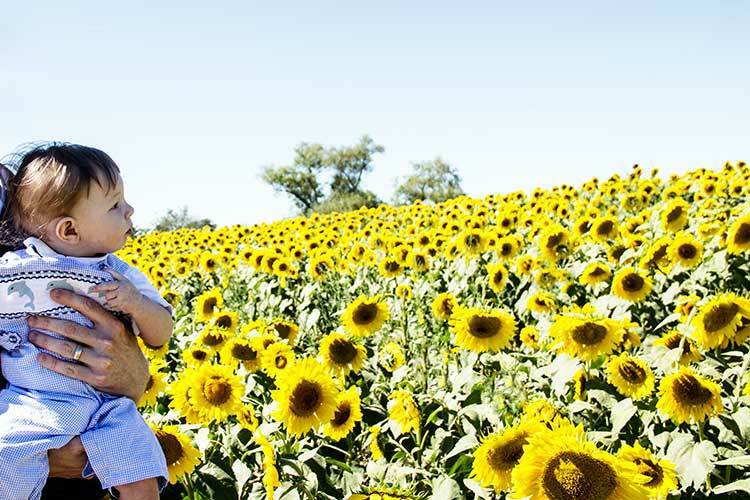 So all-in-all, I’d call our little frolic though the sunflowers a success. And I’m looking forward to next year, when Trevy-Tru might even smile for the camera. Choo Choo, Trevor is Two!